The MY Callisto is a modern state-of-the-art motor-yacht cruiser offering the highest standard of sailing comfort and safety. Launched in 2000, the vessel has been fully renovated to provide luxury accommodation in 17 twin/double cabins, and spacious public areas. The latest technology and first-class amenities complement the many advanced features that are available for guests to enjoy. Attention to detail has also been extended to the décor and furnishings. The exquisite art that is on display in the gallery adds a final designer touch of class. Launched in 2000 and fully refitted in 2015, the MY Callisto is a refined 52m motor-yacht offering an unforgettable small cruise experience. The state-of-the-art cruiser boasts 17 air-conditioned cabins with private en-suite bathroom, luxurious furnishings and exceptional ocean views. The indoor and outdoor public areas of the ship are spacious and designed for optimal comfort and relaxation. 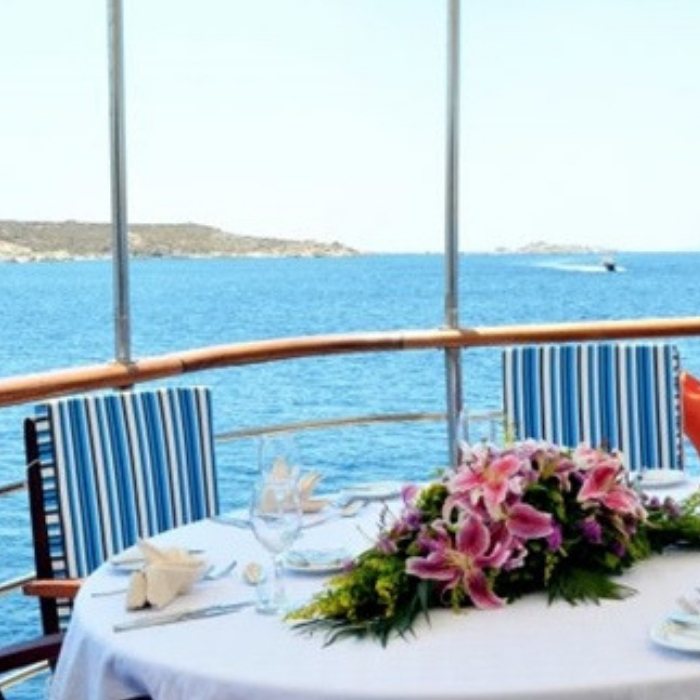 Guests can enjoy dining on the upper deck whilst admiring the panoramic scenery. The sun deck features sun loungers and a swimming platform for easy access to the warm turquoise waters. 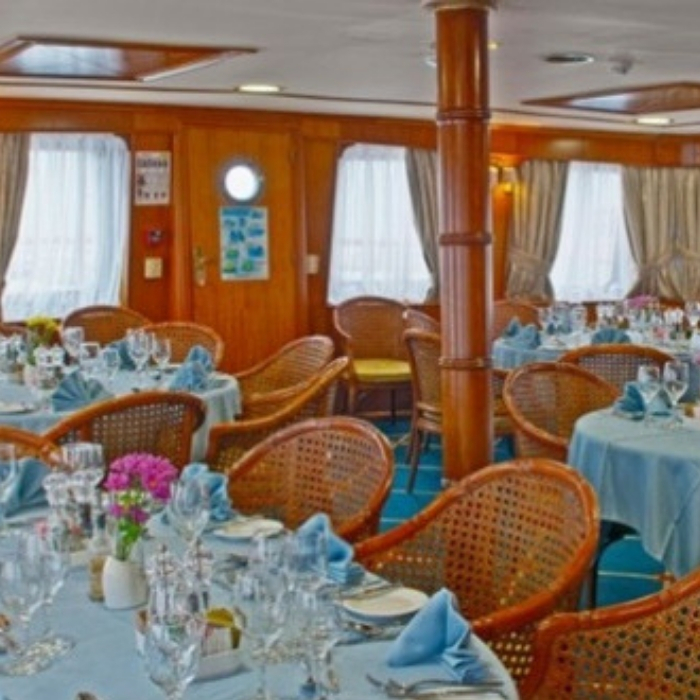 The elegant small cruise ship features 17 modern air-conditioned cabins that comfortably accommodate up to 34 guests. 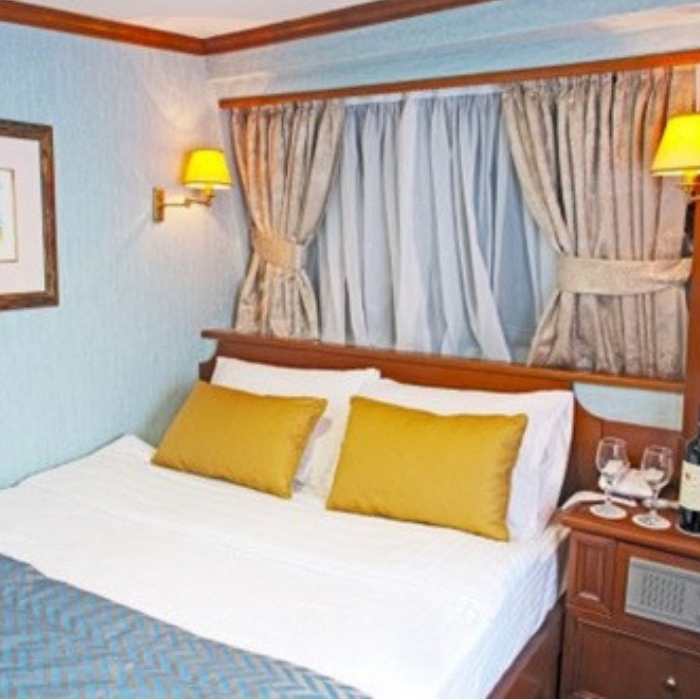 Arranged over the main and lower decks, the spacious well-appointed double and twin cabins boast a private en suite bathroom with shower, a flat-screen TV, wardrobe, in-room safe, hairdryer and complementary toiletries. Decorative features include real wood furnishings, gleaming brass fixtures and luxurious designer fabrics that provide a touch of opulence. 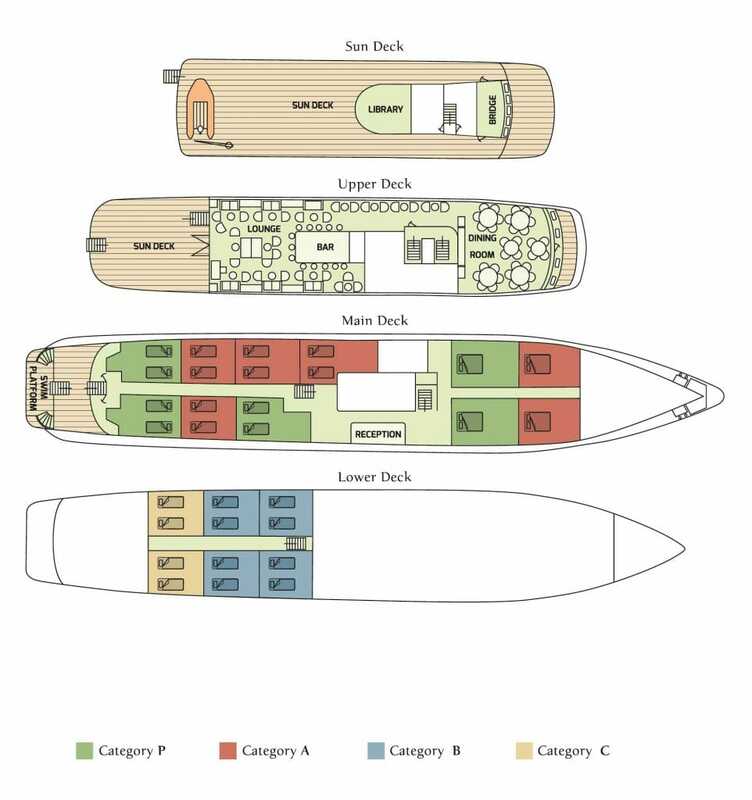 The main deck cabins boast large windows, whilst the lower deck cabins include a porthole view. Guests onboard the MY Callisto can enjoy relaxation in spacious indoor and outdoor public areas. 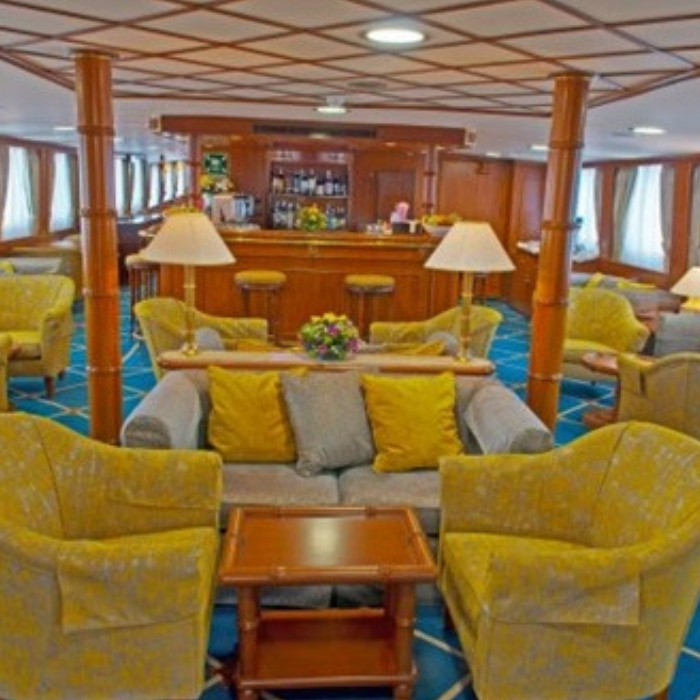 The elegant lounge/bar is located on the main deck and features a large screen TV. Comfortable sofa seating is available in the upper deck lounge/bar that extends outdoors for alfresco entertaining. The expansive dining room is connected to the lounge/bar via the art gallery and offers panoramic views from the large windows. Two spacious sun decks provide the perfect spot for sunbathing. To the rear of the ship is a swimming platform with ladders that provide easy access to the sea.